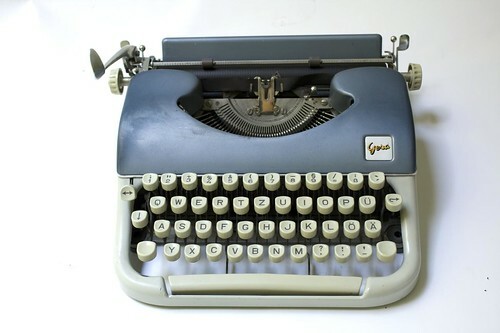 Gesa portable typewriter. German keyboard. N° 373809. Most probably a rebranded "Japy script". Which means, it is an offspring of the Patria-Family of typewriters. Thanks for your opinion / expertise on that. UPDATE 2: see typewriters.ch/collection/gesa_typewriter.html (in German).